A real estate company from down under is plotting a major makeover in Midtown. 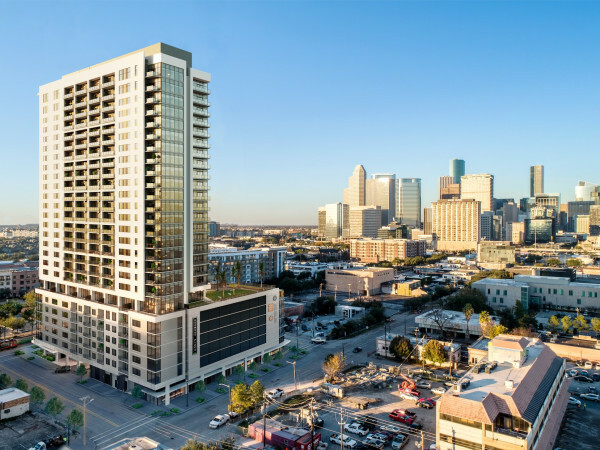 With construction already underway at 2850 Fannin St. and the Main Street parking lot adjacent to the Greensheet building acquired, Australian-based Caydon has recently closed on its third site to create a towering, three-block, Midtown mixed-use development. Completing this trifecta is a 30,300-square-foot parcel with a 31,408-square-foot building. The site is currently occupied by Art Supply on Main (711 S. Main St.); the company will be relocate to a new building in early spring 2019 to make way for the future development. 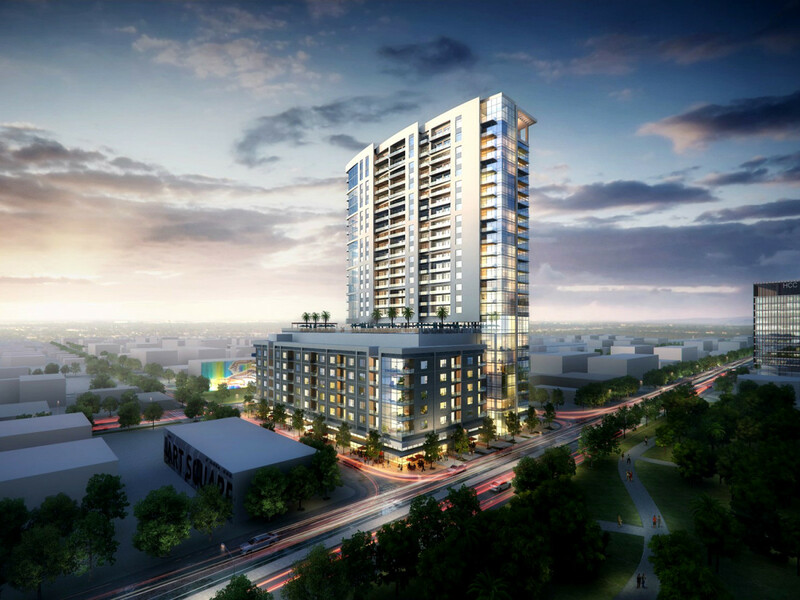 Phase one of Caydon’s Midtown complex is slated for mid-2019 completion. 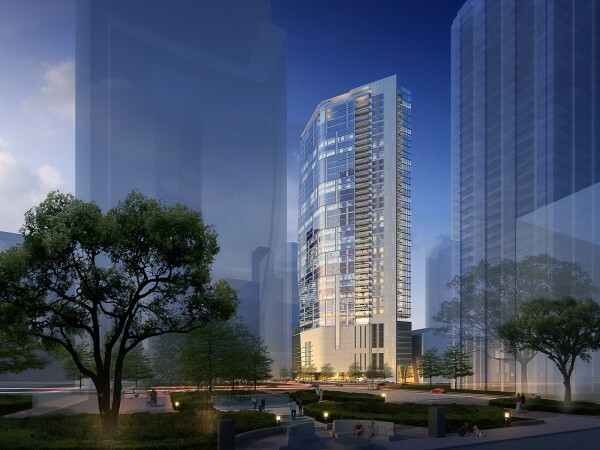 The $200 million residential high-rise will boast 27 floors and 357 apartment units — along with 13,000 square feet of retail space on the ground floor. 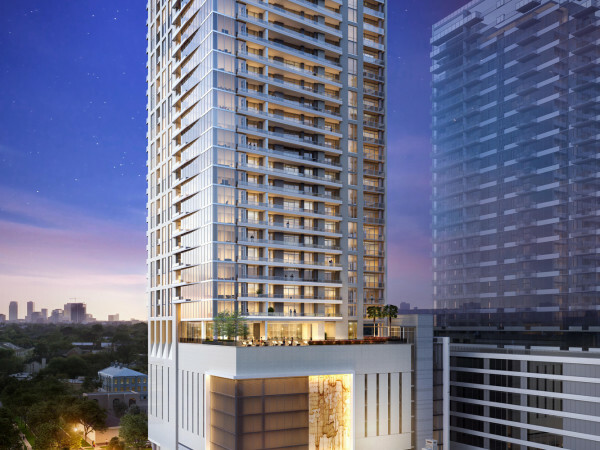 The tower is designed by Houston-based Ziegler Cooper Architects and will offer European-styled interiors, an expansive pool with swim-up bar, a yoga studio, a dog park, and a sky lounge with “spectacular downtown views,” according to a statement. As Swamplot reported, Caydon’s vision is a bustling, rail-friendly, and food-centric community —as evidenced by a recent signing: Georgia-based Flying Biscuits Cafe has already agreed to be a new tenant.